I spend time on an island near Portland each summer, and I have been admiring from afar the beautiful private gardens that seem to be everywhere along the Maine coast This year I decided to venture to the mainland and go to a couple of the many garden tours listed in the July 2013 issue of Downeast Magazine. Earlier in the summer, I went to a tour in Brunswick, which you can read about here. 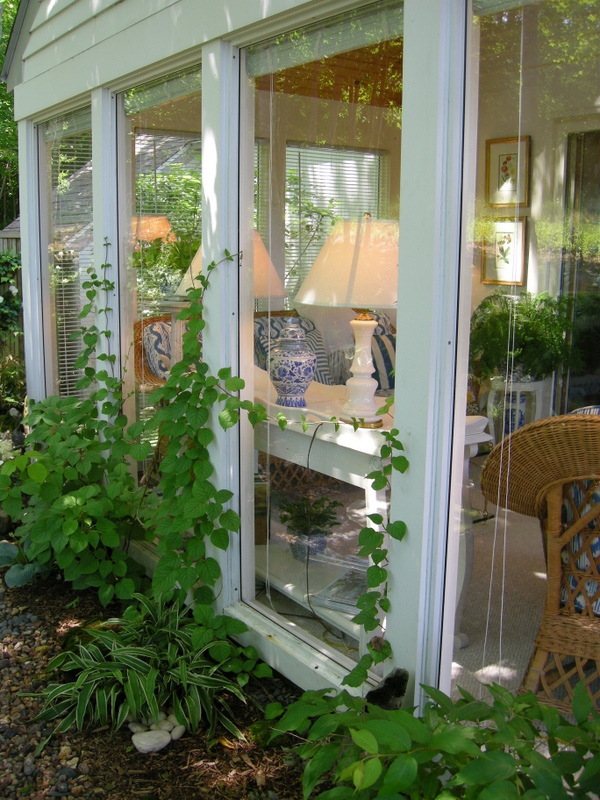 On July 18, a friend and I attended the 66th Annual Camden Garden Club House & Garden Tour in Camden, Maine. 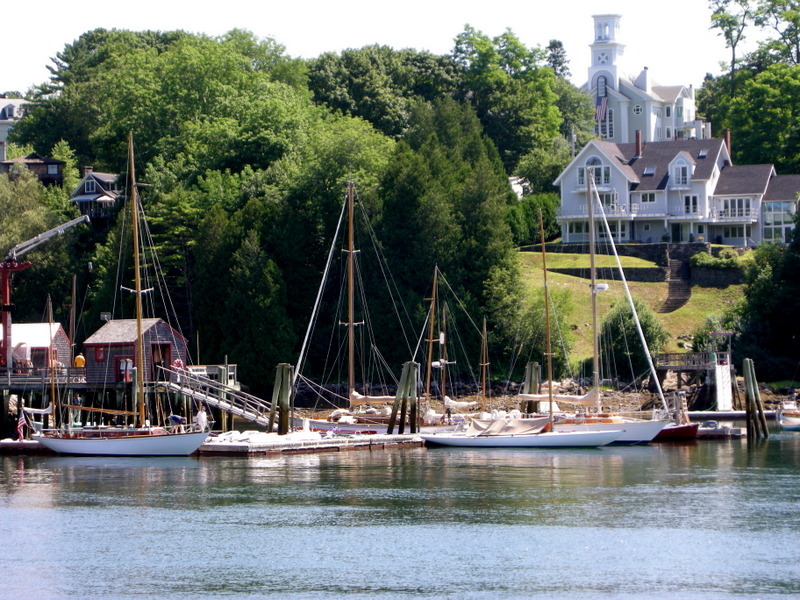 Camden Harbor (unfortunately there is invasive Japanese knotweed in the foreground). 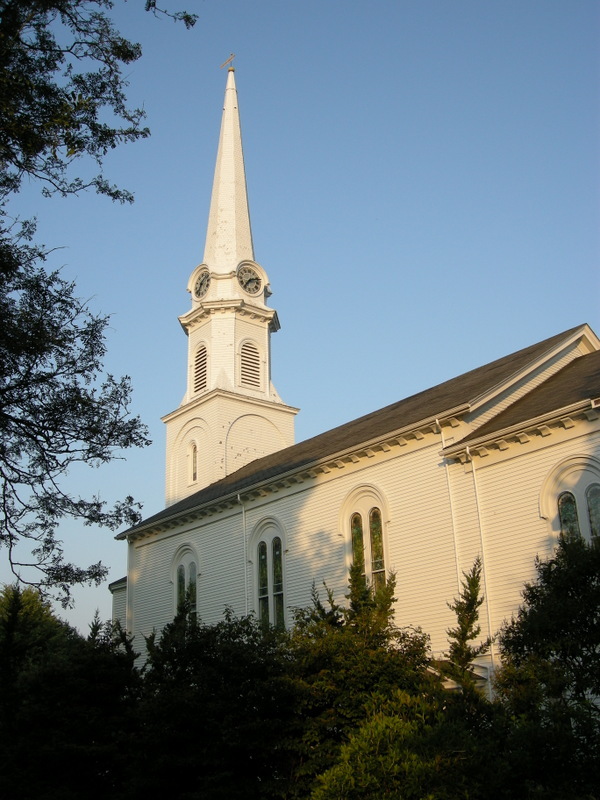 A church in Camden, quintessential New England. Towne Motel in Camden, nothing fancy but economically priced with very helpful owners and a delicious continental breakfast. 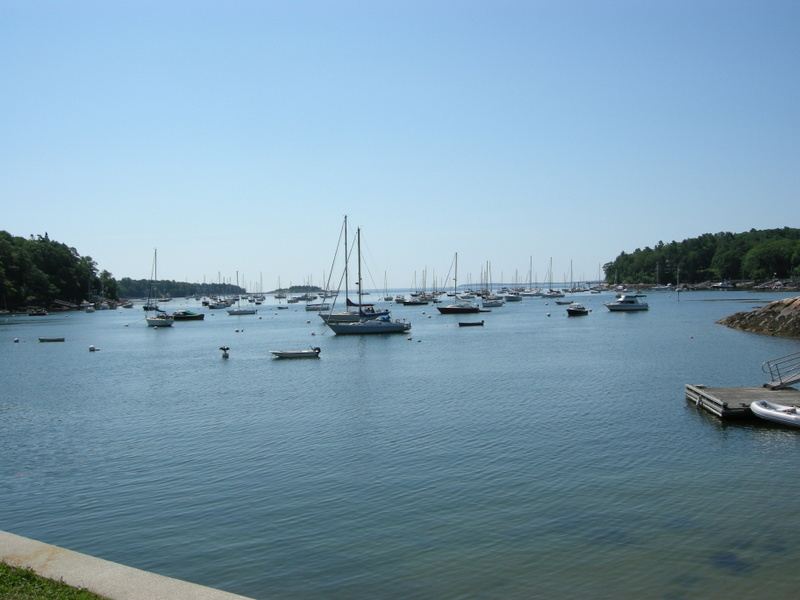 Rockport Harbor is right next to Camden and several of the gardens on the tour were in this area. We took the tour the next day, which was bright and sunny so not so great for taking photographs. At first I was dismayed because there were only six gardens, but I forgot we were touring the inside of the houses too. Having that added dimension was so much fun as you rarely get to see gardens from the inside looking out. Also I am sure that unlike me many tour participants were more interested in the inside of the house than the outside. The tour was very well planned with houses and gardens of all types. It was also logistically flawless with a great map and descriptions, very helpful signage directing you to each garden, well thought out parking and even shuttles in hard to access gardens, and knowledgeable and friendly garden club members to answer questions. 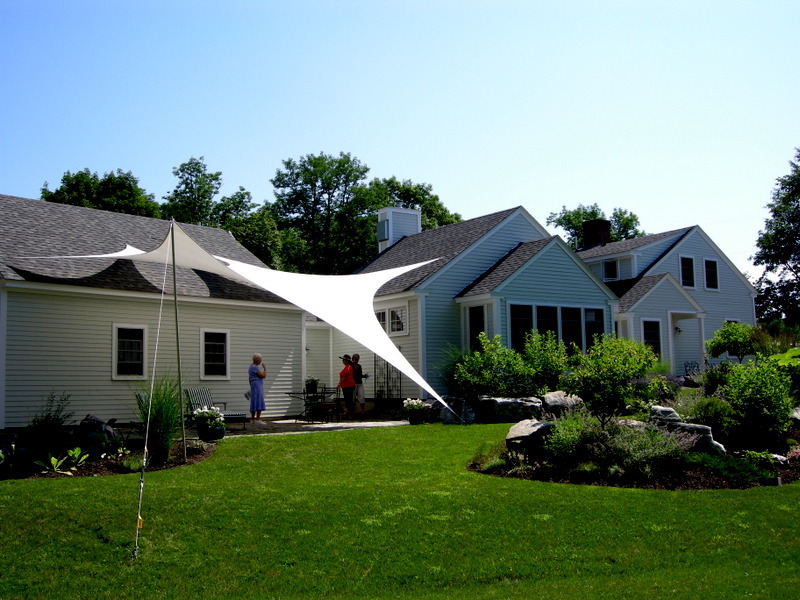 The Anderson garden in Rockport has a beautiful and unusual sculptural awning. Looking out from under the Anderson’s awning. Tour participants could photograph the gardens but understandably no photos could be taken inside the houses. That means that I can’t share with you the gorgeous interiors, which were the highlight of several of the properties. I have also split this post into two parts because three of the gardens were nice enough to merit more than a few photos. This post will cover four of the six gardens, and the remaining two will be in Part 2. 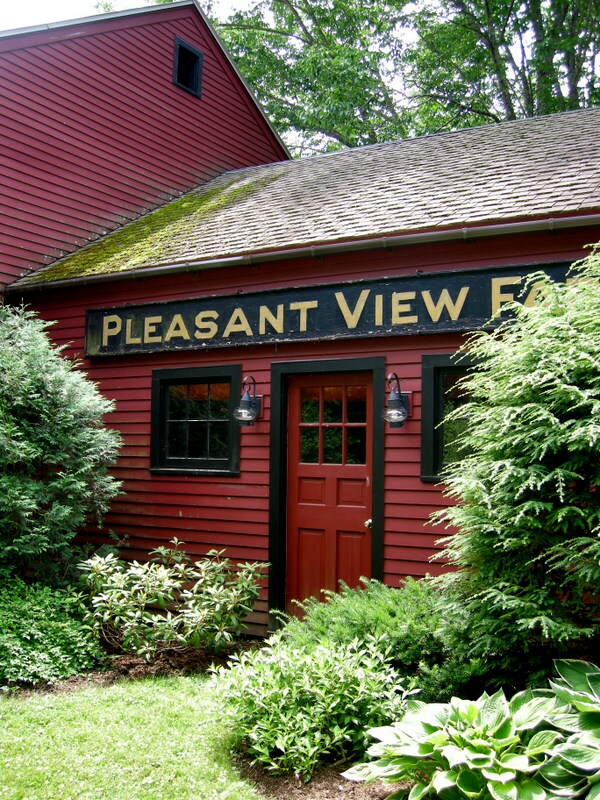 Pleasant View Farm used to be an apple orchard, and the 1828 cape and barn housed migrant apple pickers. 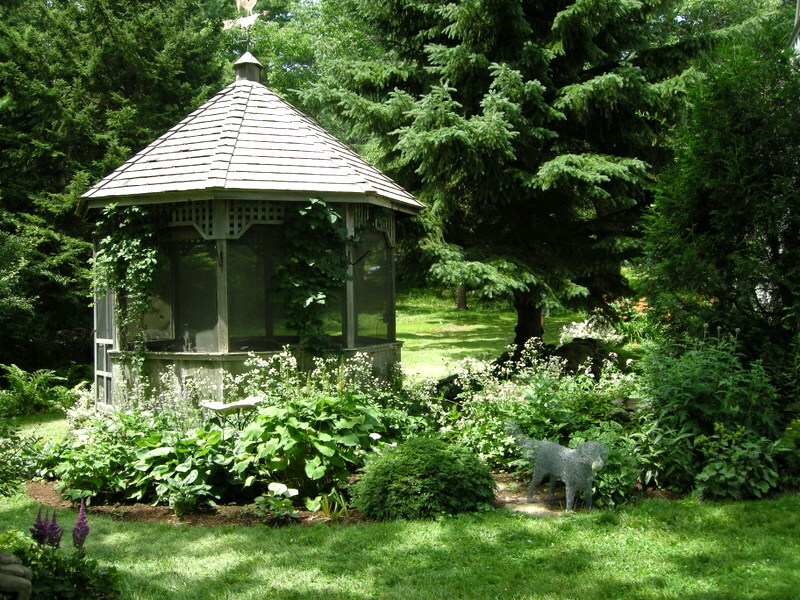 Out back is an attractive gazebo. 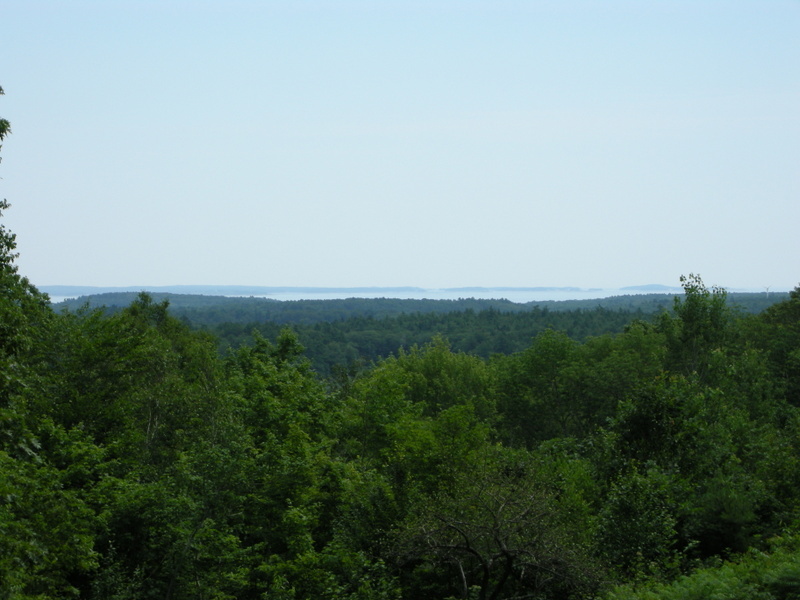 The back deck at Pleasant View Farm has a wonderful view of Vinalhaven and Hurricane Islands. 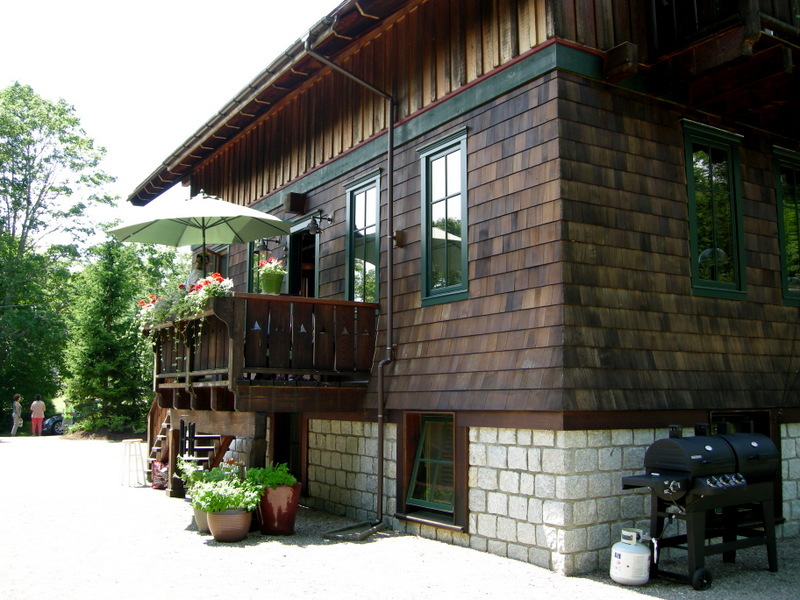 Right in downtown Camden is this alpine chalet designed for optimum energy conservation and minimal maintenance. The inside was beautiful with a cathedral ceiling, spiral staircase, lots of wood, and interesting art. In keeping with the low maintenance and sustainability objectives, the lawn and driveway have been replaced with gravel. Unfortunately, the sun was so strong that it washed out the photo, but the gravel was very attractive. This is something I would like to do at my house. 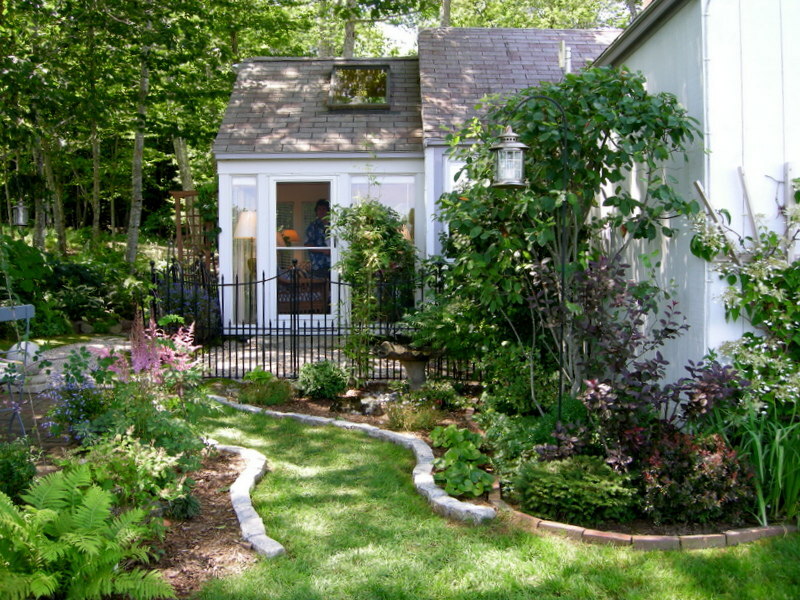 A one-room writer’s hideway behind the house is surrounded by gardens. 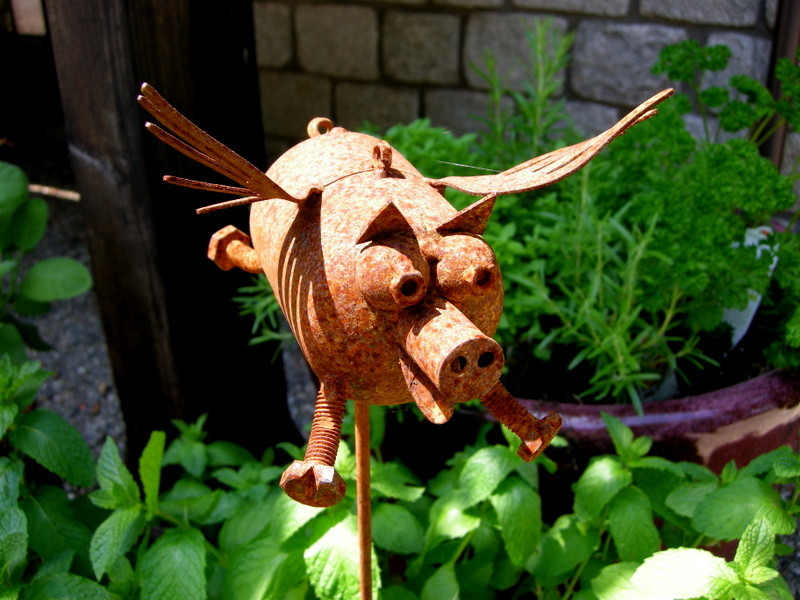 A sculpture in the herb garden. 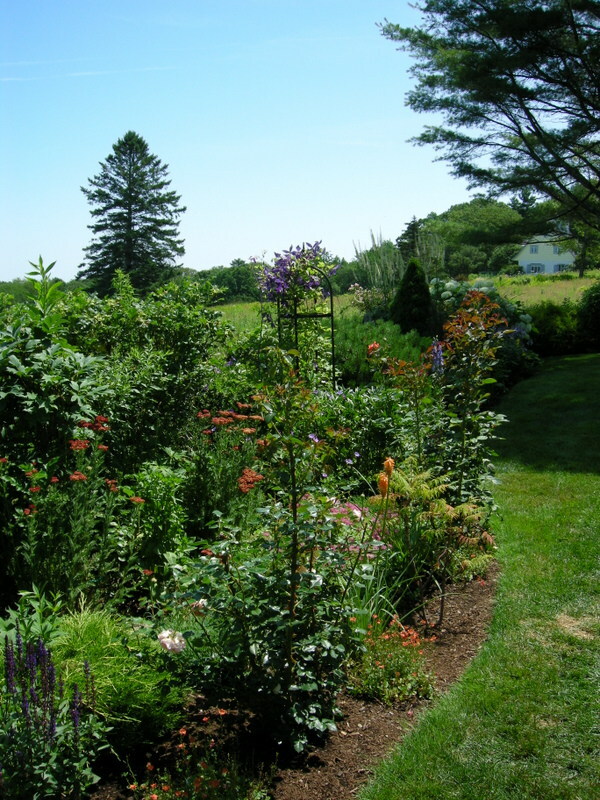 The Einsel garden in the Rockport countryside is surrounded by blueberry fields and woods. 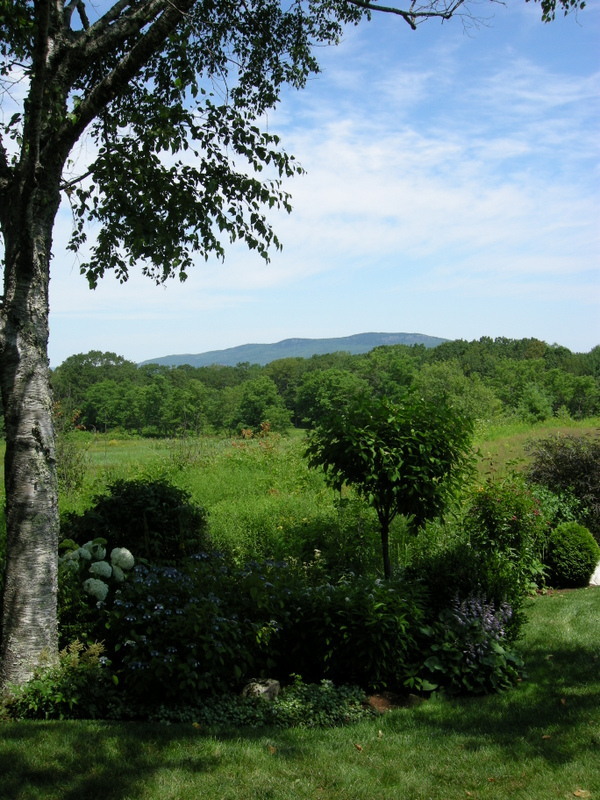 The view from the deck over the blueberry fields towards the Camden Hills and Penobscot Bay. Extensive perennial gardens fill the sunny area in back. The most beautiful parts of the Einsel property are the shade gardens that surround two sides of the house (now why do I think that?). The shade gardens are intensively planted. The back entrance to the shade gardens. 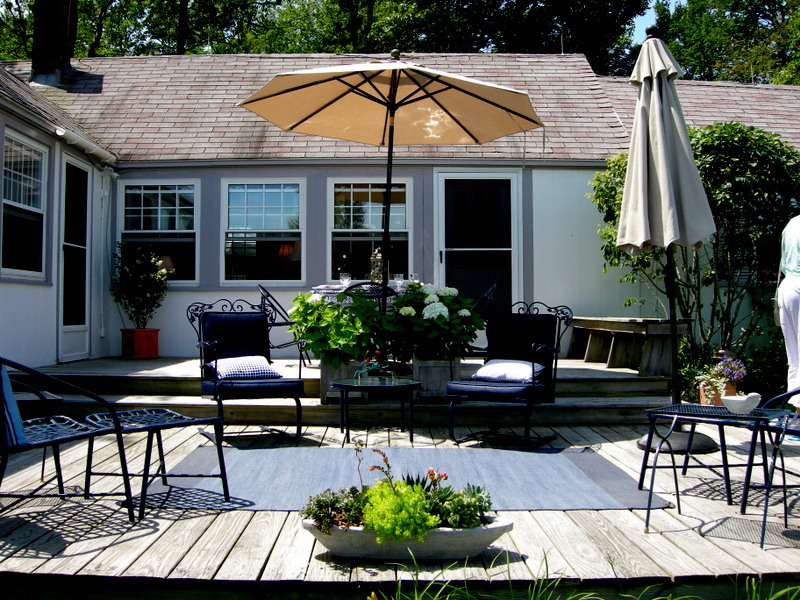 Garden room overlooking the shady areas. View from the garden room. Photos of the remaining two gardens will be in the next post. I highly recommend that anyone in the area attend next year’s Camden House and Garden Tour on July 17, 2014. I intend to if I can. This entry was posted on August 22, 2013 at 9:46 am and is filed under Garden Tour, landscape design with tags Camden Garden Club, Camden Garden tour, Camden Harbor Maine, Camden House and Garden Tour, Camden Maine, Carolyn's Shade Gardens, Fresh Restaurant Camden Maine, Laite Beach Camden Maine, Rockport Harbor Maine, Rockport Maine, Towne Motel Camden Maine. You can follow any responses to this entry through the RSS 2.0 feed. You can leave a response, or trackback from your own site. It’s fun to see these Maine landscapes Carolyn. It’s a place I always wanted to visit. 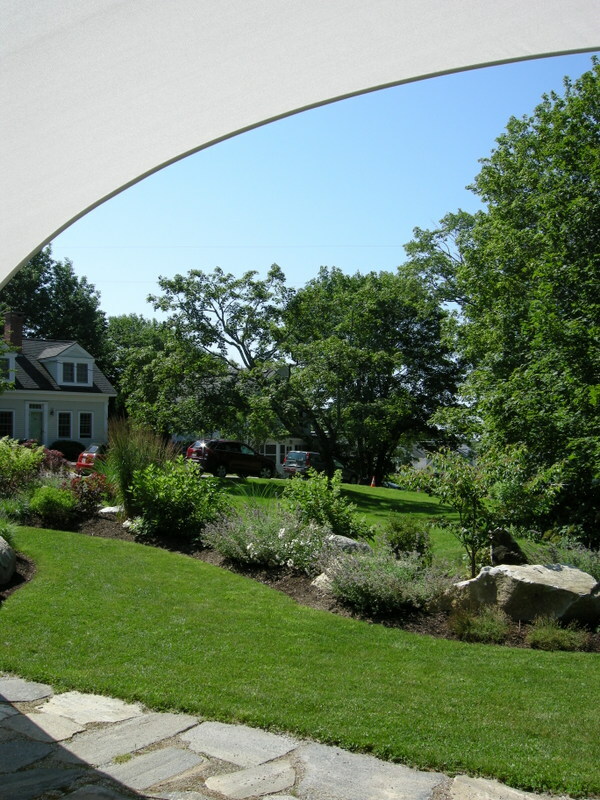 And yes, imagine you being drawn toward the Einsel shade gardens! Thanks for these photos Carolyn. 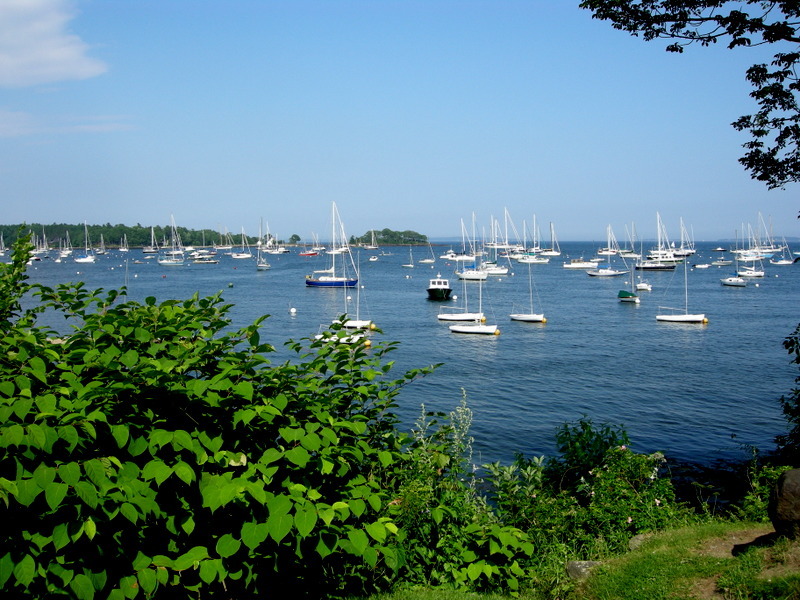 I enjoy visiting coastal Maine for its spectacular scenery as well and am often envious of their short but stunning garden season. It seems to me the plants thrive exceptionally well in this area. I have always wondered if its proximity to the ocean provides nutrients to the soil that benefit plants overall? It seems to be the case in many NJ coastal gardens as well. Any thoughts about this? Just beautiful! 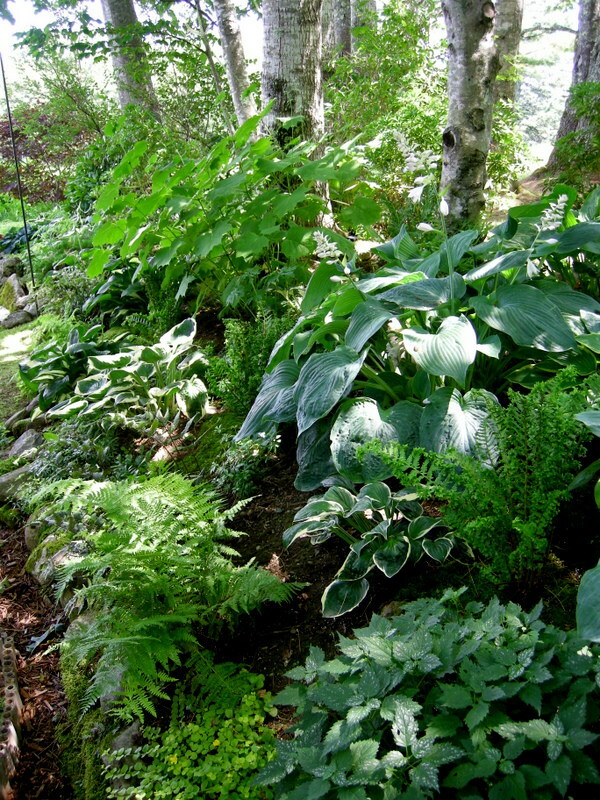 Love the shade garden! Thank you! Really nice tour Carolyn and it is so representative of what Maine has to offer the tourists and visitors. I just love that studio, but I bet you knew I would say that. I always wanted to build myself one if I get some property. It is perfect for writing, but would need light for painting. Fine for architectural drawings though. I also love the scenery in your images, but you knew I would say that too. 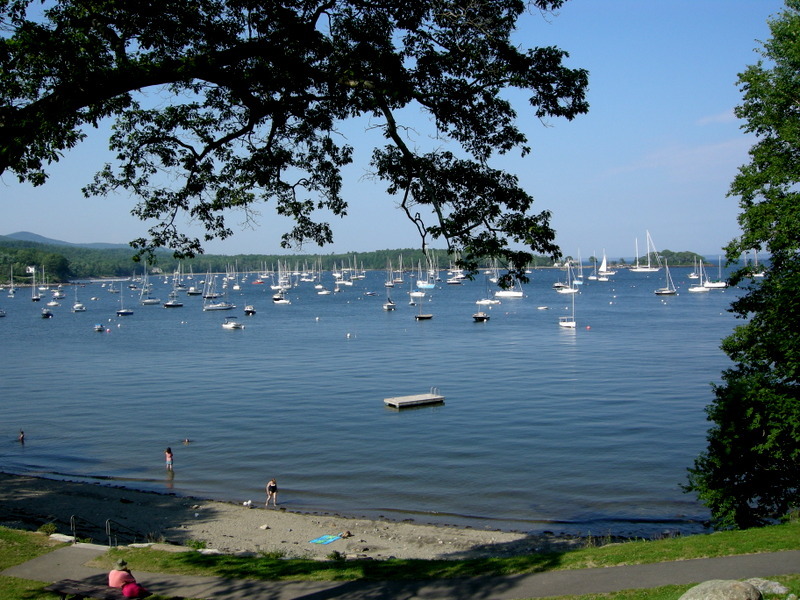 It is a place rich in culture, architecture and ocean/ bayside living. 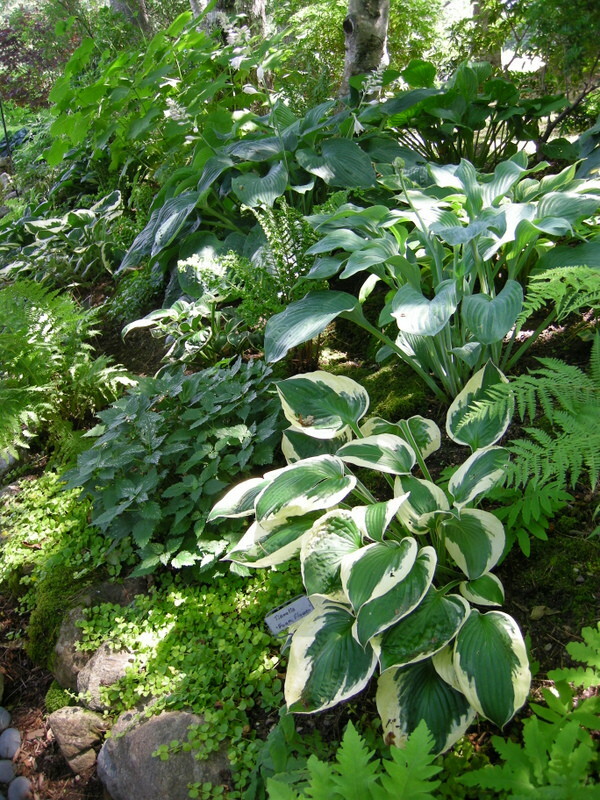 I also think the Einsel shade garden is most beautiful! This is a beautiful part of the country. 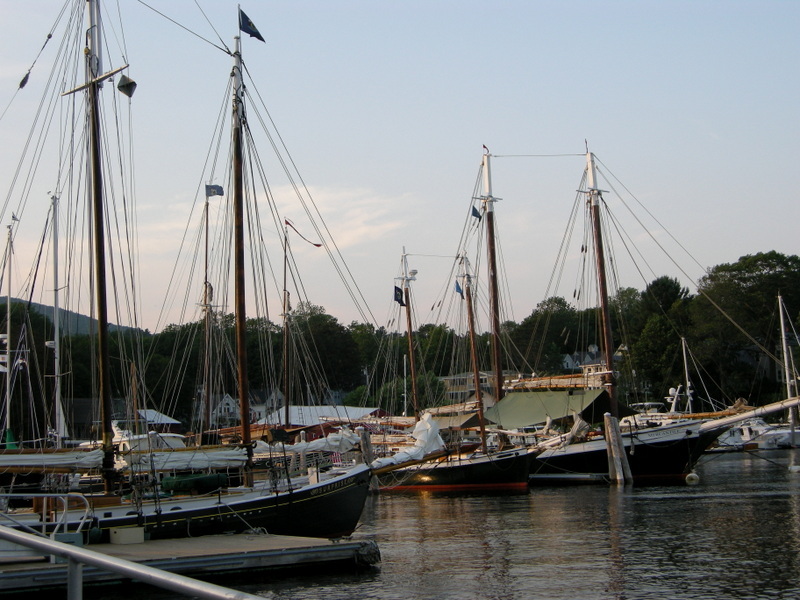 I love your shots of Camden Harbor. Hi Carolyn. Now you are in my neighborhood. I grew up in Warren just south of Camden and Rockport. If you are still in the area ask about the Childrens’ Chapel. It is an outdoor chapel. It has beautiful flower gardens. They hold weddings there. The congregants, when sitting, look out over the water. Ask a local. It isn’t one of the big tourist spots, but a great local spot. That Towne Motel looks so quaint! 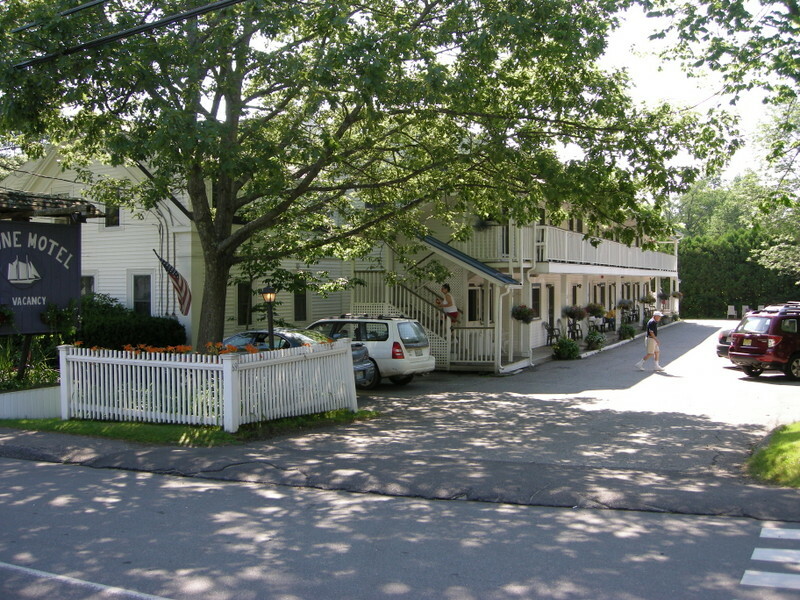 The whole area seems picturesque–a great place for a summer vacation. It kind of reminds me of Door County, here in Wisconsin. A very casual, quaint, getaway destination. I visited Camden a couple of years ago in Oct. and loved it. Went up to Mt. Battie (sp?). You’re too young to know that the movie “Peyton Place” was filmed there and I fell in love with the scenery then years ago. Thanks for sharing these great photos. New England looks much prettier than Old England it the moment – it’s pouring down with rain during our holiday weekend. 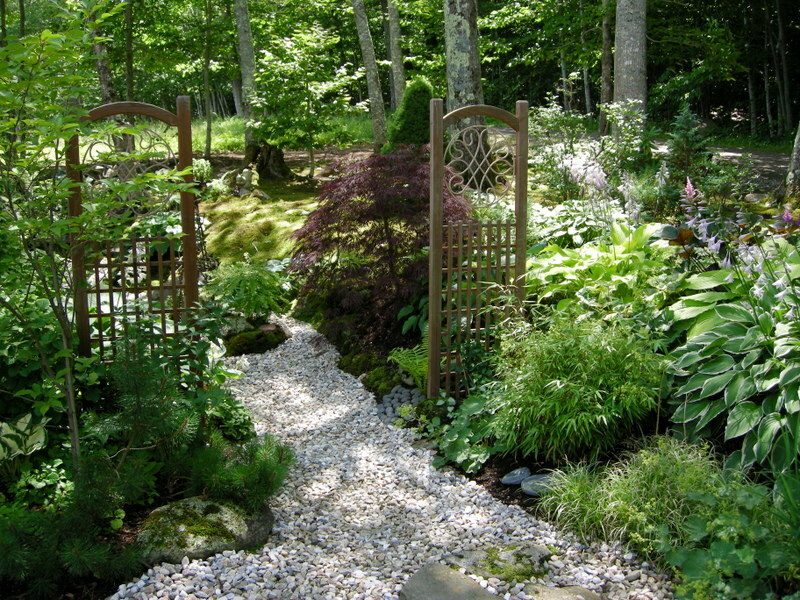 Maine is somewhere I would love to visit, and even more so after your garden tour! Thanks for sharing your impressions. I haven’t been in Maine since I was about 10 years old. I love these New England landscapes. Looks like a great trip. 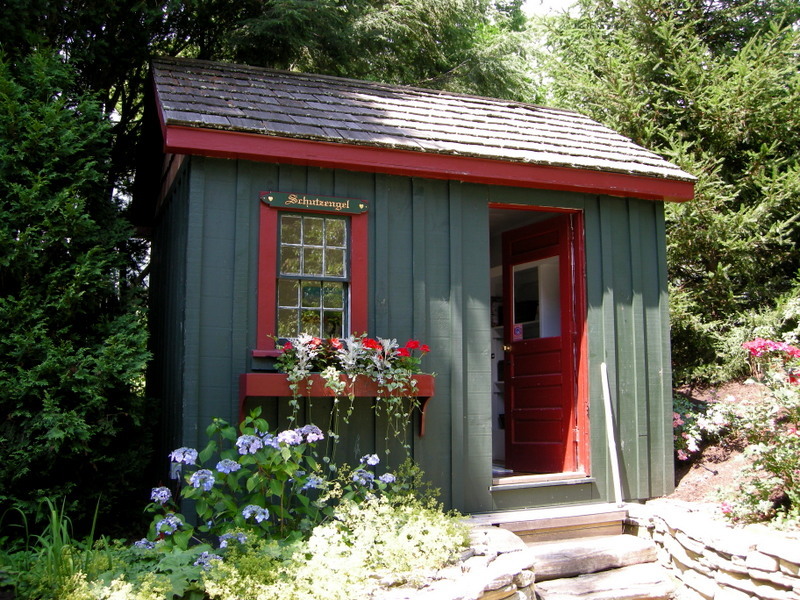 I still want to visit Maine as I have never been there…I love these gardens but my fav was that little Writer’s Studio. I love that writers hideaway. 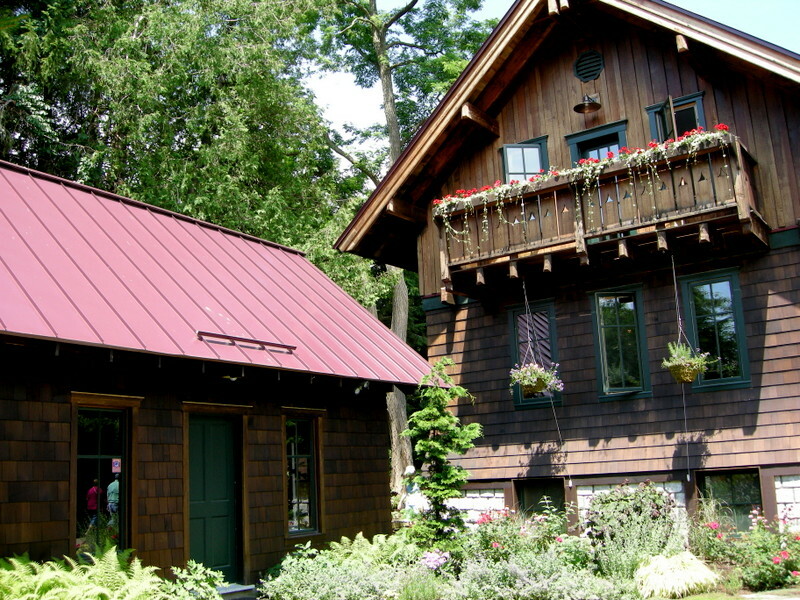 We call those awnings shade sails here. Hi there, This is AMAZING!! We miss you guys, and so happy you included us in this wonderful story! Carolyn, I’m finally getting a chance to catch up on weeks of blog posts. When I lived in Lewiston in the ’80s, I was known for getting in the car and driving out to Camden at the drop of a hat. 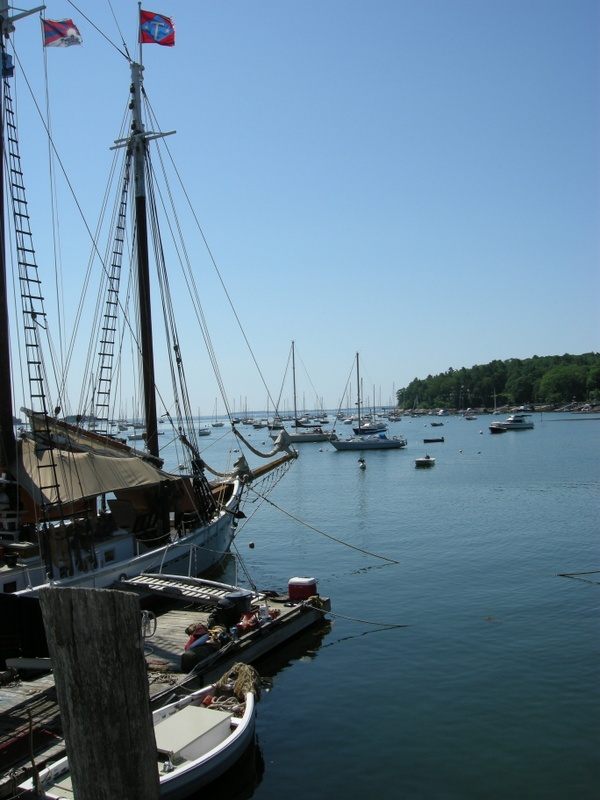 I had so many photos of Camden Harbor from the top of Mount Battie in every season (including winter), that I finally stopped taking my camera with me.